Wizard Dojo – Page 2 – A wizard is never late, nor is he early. He reviews stuff precisely when he means to. 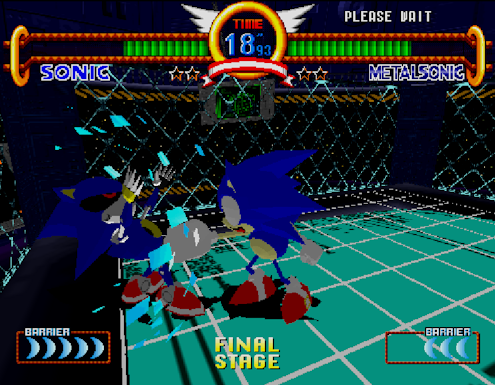 Sonic the Hedgehog: Triple Trouble was the first Sonic platformer released exclusively on the Sega Game Gear handheld system. 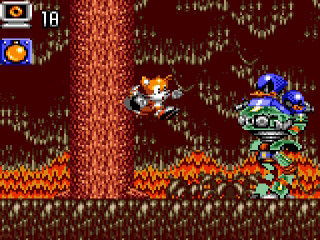 Prior handheld Sonic titles were based on the Genesis games, like the Game Gear versions of Sonic the Hedgehog 1 and 2, or were simultaneously developed for the Sega Master System, like Triple Trouble’s own predecessor, Sonic Chaos. 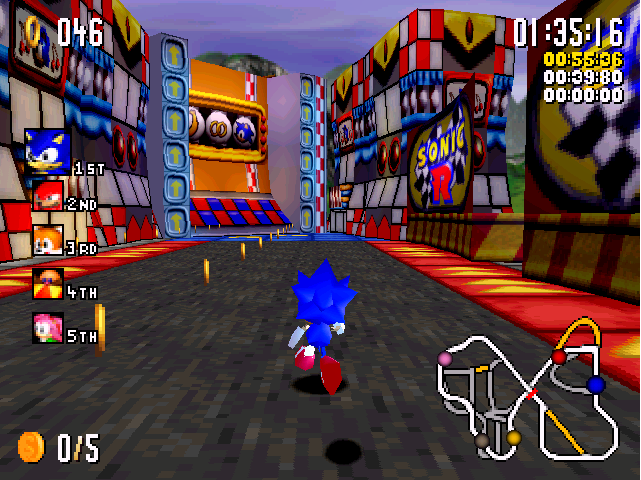 While those games all felt like “Sonic Lite,” Triple Trouble actually made a decently successful attempt at replicating the look and feel of the Genesis titles. While there are moments of fun to be had with Sonic the Hedgehog: Triple Trouble, it ultimately suffers the same fate as many early translations of classic franchises onto handheld systems, with the limitations of the hardware holding it back, and ensuring that the experience has aged poorly. 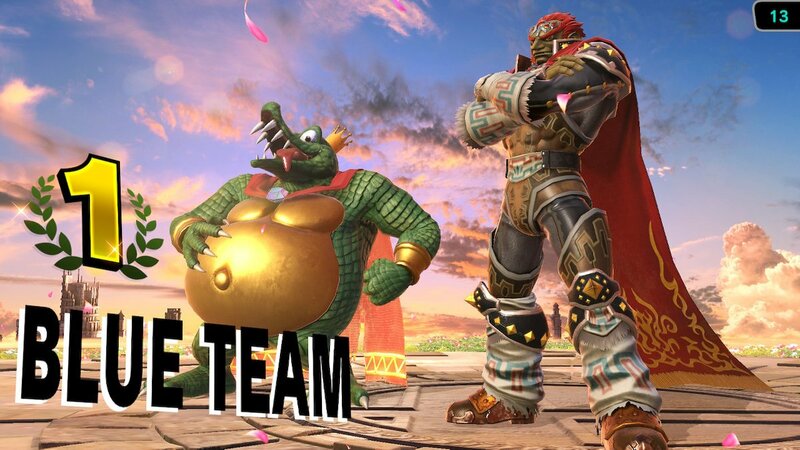 Triple Trouble gets its name from the fact that it boasts three antagonists: the big bad of course being Dr. Ivo Robotnik, who is joined once again by Knuckles the Echidna (who is being mind controlled by the good doctor this time around, as opposed to manipulated by him). The third villain in this triumvirate is Nack the Weasel, a treasure hunter who is after the Chaos Emeralds for his own desires. Admittedly, Nack is one of the better “not Robotnik” villains of the series, so it’s a shame that after his debut outing, he made sporadic appearances for a couple of years before being dropped from the series. 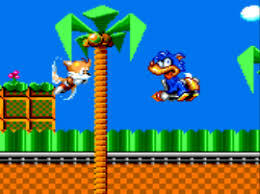 The game is a platformer very much in line with the Genesis Sonic games. 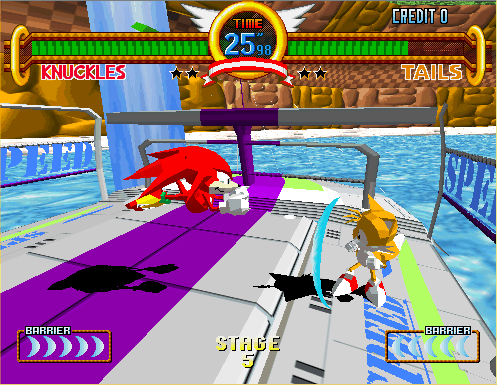 Players can play as either Sonic or Tails as they collect rings, zoom through stages, and try to track down the Chaos Emeralds in the game’s bonus areas. 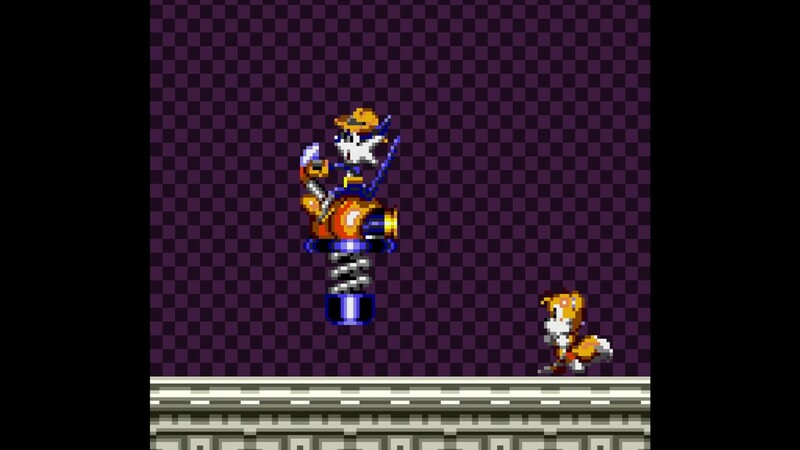 Though Sonic is the star of the show, Tails is the more ideal character, as his ability to fly for a brief time makes it much easier for him to scour the stages for all their hidden goodies. 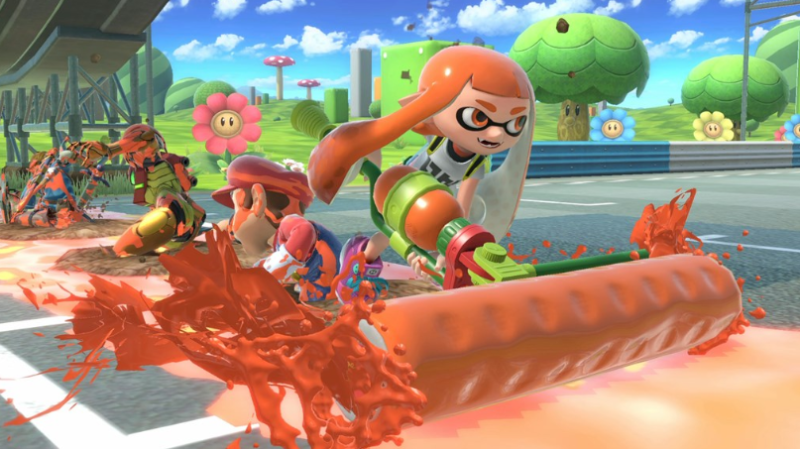 Especially since the hardware limitations rob Sonic (and Tails) of some momentum when on foot, making the series’ trademark sense of speed feeling clunky. Going through loops becomes a pain pretty quickly because of it. 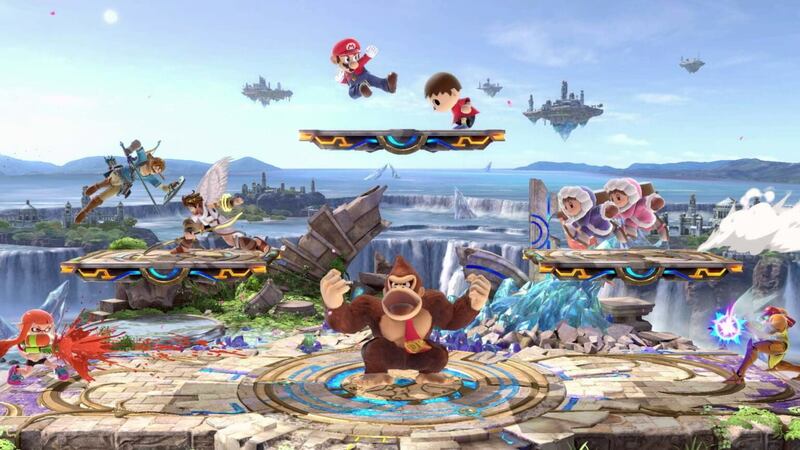 The level design is nothing special, but isn’t necessarily bad, either. Again, Triple Trouble did a pretty decent job at translating the Sonic gameplay to a handheld for the time. 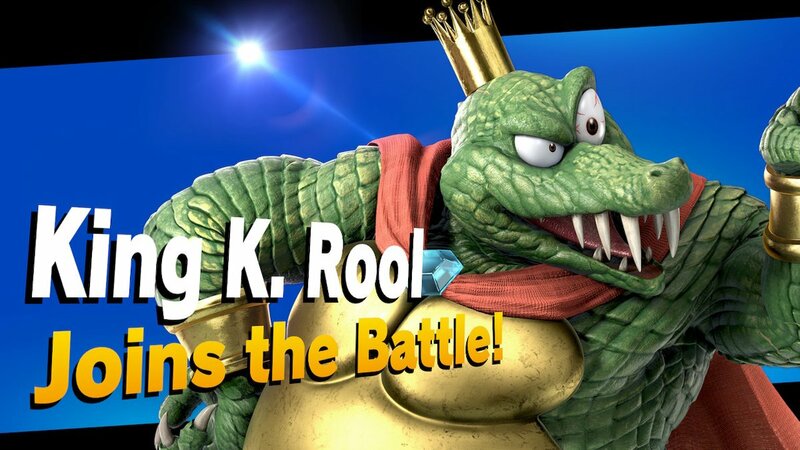 But this was the time in which the convenience of handheld gaming came with the price of sacrificing some quality, and the limitations do begin to show up pretty quickly through the repetitious stages and the lack of new elements for the series. 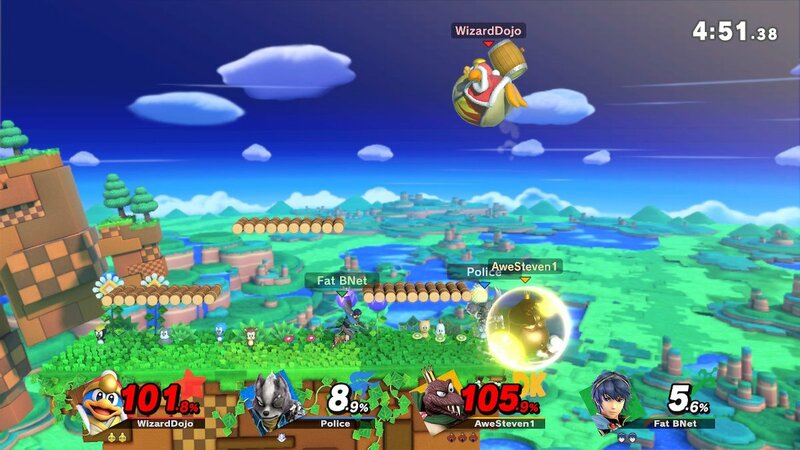 Their are five worlds total (strangely, only one of which boasts the series usual moniker of “zone”), with each consisting of two stages and a boss level. 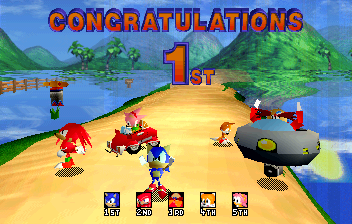 The stages themselves are pretty straightforward, though gaining all of the Chaos Emeralds (of which there are only five this time) is a bit more difficult, perhaps more so than it needs to be. 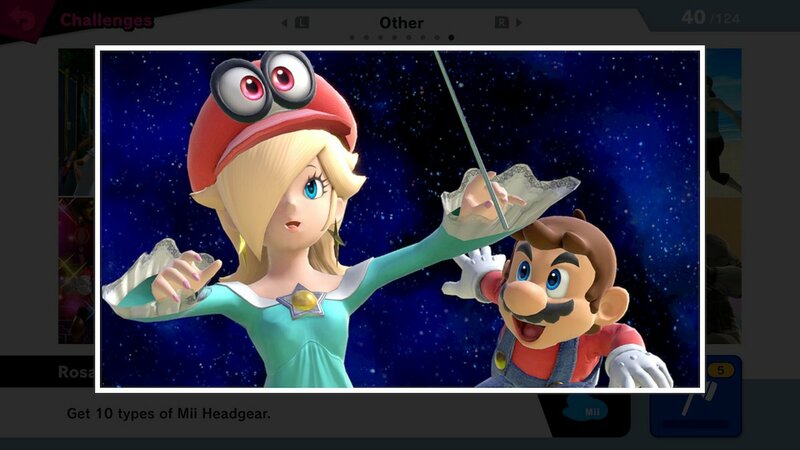 As usual, you have to hold onto fifty rings before you can enter a bonus area. 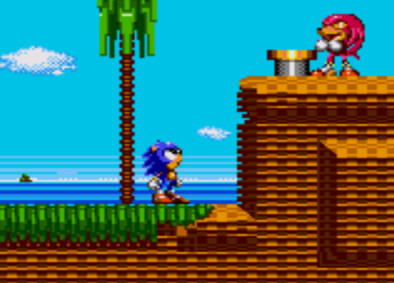 While the Genesis titles had Sonic enter the bonus areas through the convenience of checkpoints or giant rings, here the bonus areas are found by breaking hidden monitors with a picture of an emerald on them (much like the monitors that hold the series’ power-ups). Not only are these small monitors easy to miss, but if you accidentally break one while holding less than fifty rings, it won’t do anything, thus wasting an opportunity to get an emerald. 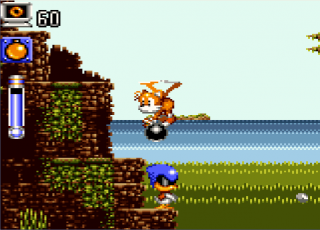 If you do have fifty or more rings and break the monitor, however, you can enter one of two different bonus zones: the odd-numbered emeralds take Sonic and Tails to labyrinths they have to navigate to find the emerald, and sometimes end with a fight against Nack. 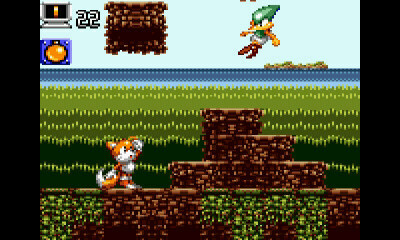 The even-numbered emeralds see our heroes pilot a plane in a 3D environment where, similar to the bonus stages of Sonic 2, they must collect a set number of rings that fly from the background to the foreground while avoiding bombs. 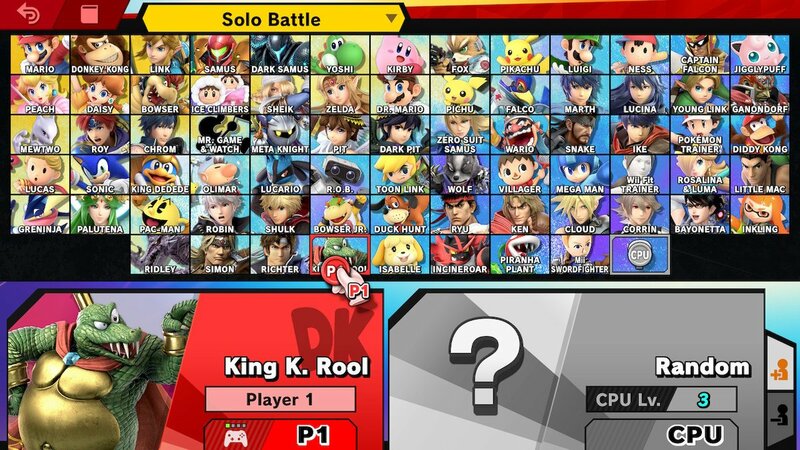 The former category just end up being too confusing, which may not be a problem if you had more chances to claim the emeralds. 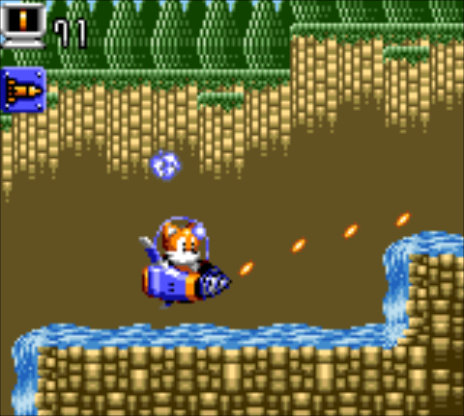 Meanwhile, the latter category feel like sloppy versions of Sonic 2’s bonus games, with the rings and bombs not being visible until you’re pretty much right on top of them. Graphically, the game actually looks pretty impressive. 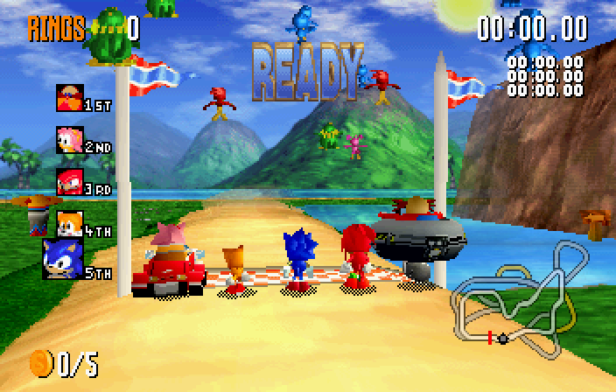 Triple Trouble doesn’t quite capture the timeless look of the Genesis Sonic games, but it comes closer than it has any right to. Unfortunately, the same cannot be said for the music, which comes nowhere near the memorable tunes of the Genesis titles. 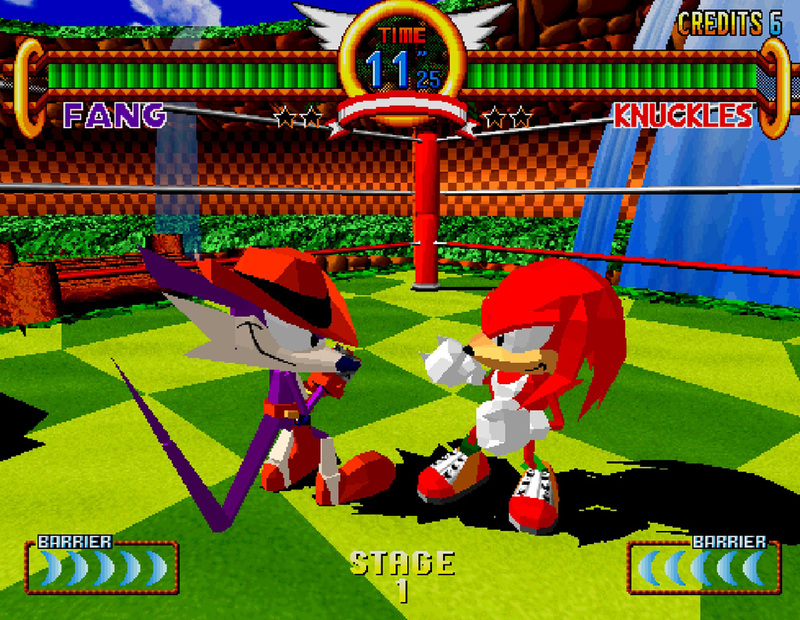 Released in 1994, Sonic the Hedgehog: Triple Trouble was decent for what it was at the time. 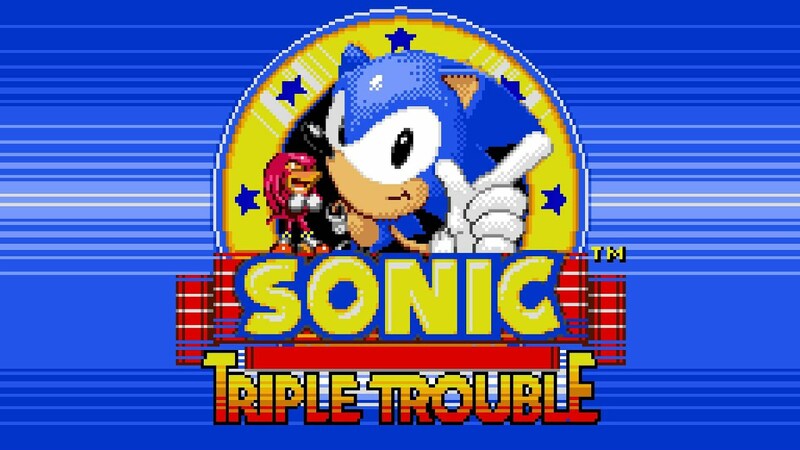 If you were on the go, but still wanted to play a Sonic the Hedgehog title, Triple Trouble came as close to possible to providing the classic Sonic experience on the go. But like Super Mario Land, Triple Trouble just hasn’t aged well. 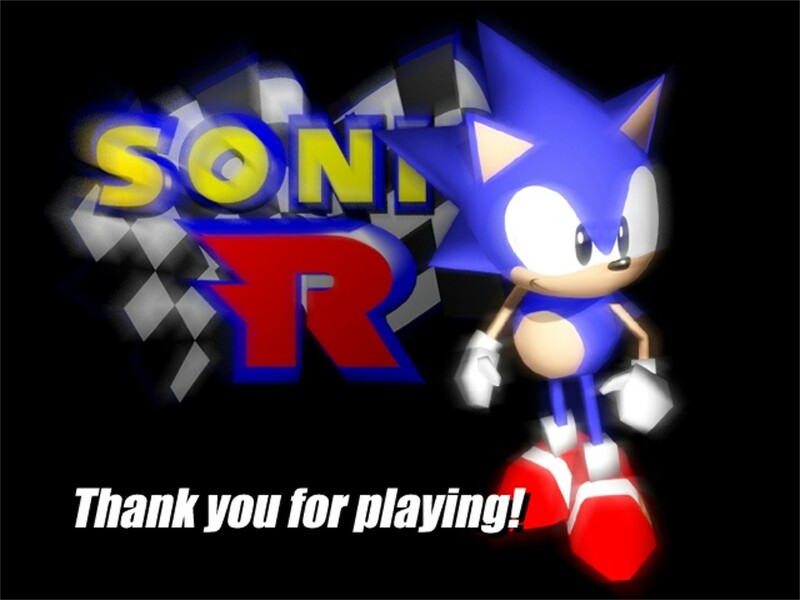 The awkward momentum of the characters, combined with the tedious nature of finding the Chaos Emeralds, and the general lack of newness or challenge for the series makes the already short adventure that much less noteworthy. 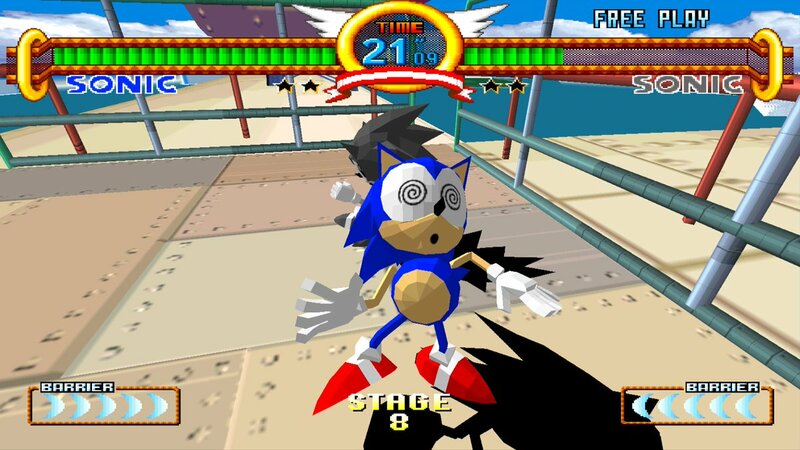 Sonic the Hedgehog: Triple Trouble wasn’t bad per se. It’s just very much a product of its time, and not a particularly memorable one at that.